If you’re still using a spreadsheet to manage employee scheduling, you’re falling behind. Competition in today’s marketplace demands you run a tight ship. Automated employee scheduling can help keep your business from crossing over narrow margins. Forecasting your employee schedule can be tricky without scheduling apps. Spreadsheets can only help you organize data. They don’t automate future thinking and are stuck in manual drive. Forecasting represents a primary competitive area of optimization. It makes good sense to automate your workforce scheduling with data-driven scheduling. And it can be critical to your bottom line. The better you can forecast your employee schedule, the more profitable you can be. This means it’s time to abandon spreadsheets and look to automated scheduling apps. Automated scheduling apps calculate based on history, season, time of day and other factors. They use several points of data to determine the optimal employee schedule. When weather or illness throw you a curve ball, automated scheduling apps can respond. Scheduling apps do a lot of thinking for you. They remove the burden from employee scheduling. They also help distribute workload with employee self-service. 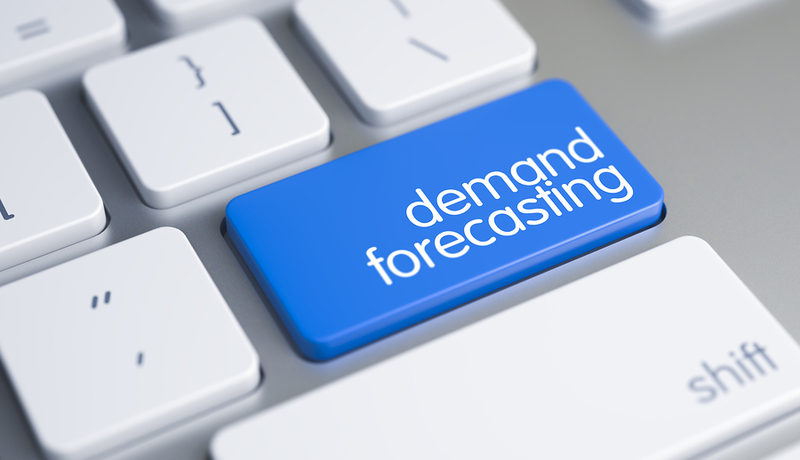 Demand forecasting is an age-old term that has gained buzzword status recently. Demand forecasting is the process of determining how many employees you will need. Manual demand forecasting is problematic. It is a tremendous burden on your workload and requires constant attention. Weather, employee illness, and other unforeseen problems can impact your schedule. Reacting with a manual system can be time-consuming at best. It can be financially crippling at worst. Manual demand forecasting systems aren’t geared to predict problems. They aren’t able to deal with problems when they occur, either. If you are managing your scheduling with a spreadsheet, you are doing too much of the work. You may also be missing opportunity simply because you aren’t watching. Overstaffing – too many employees and not enough work means you are losing money in payroll. Understaffing – not enough employees mean you are underserving customers and missing opportunities. Slow Response Times – how long does it take to replace a sick employee with a manual system? If it isn’t immediate, it can result in lost revenue. Unfilled Gaps – Employees make scheduling changes. If you aren’t watching, gaps can form and impact business. One of the greatest advantages of using an automated scheduling app is that it does a lot of the work for you. Automated scheduling apps can save you hundreds of hours in management time alone. When was the last time you said that about a spreadsheet? It gets better. Combined with employee self-service, automated scheduling can optimize employee time, too. One of the biggest drains on your profit is the cost of labor. When you schedule too many people for the job, you are losing money. It’s hard to make accurate predictions with a spreadsheet; there are just too many factors to consider. Automated scheduling apps use historical data to make accurate predictions. SwipeClock TimeSimplicity is an automated scheduling app that predicts workforce needs. TimeSimplicity considers factors such as seasonality, time of day, employee qualifications and overtime. There are many more factors that TimeSimplicity will consider. Too many to name, and far more than can possibly be considered in your spreadsheet. The calculations can be extremely complex. The result, however, is simple: TimeSimplicy will help you avoid overstaffing. Avoiding overstaffing will save you a lot of money. A business that has only 5 employees can save over $10,000 per year with accurate automated scheduling. Understaffing can also cost you but in different ways. One of the more impactful ways understaffing can hurt your business is in the customer experience. Too few employees taking care of too many customers is a recipe for low satisfaction. For both parties. Employees will feel overworked and spiteful toward other employees and managers. Customers will feel like they aren’t getting top quality attention. All it takes is one blown shift to spoil the experience for 50 customers. Those customers may not come back or can spread negative word of mouth. Costs for understaffing are hard to quantify, but they can be devastating. Any perceived savings in payroll will be lost in sales, many times over. Spreadsheets and other manual scheduling methods aren’t good at predicting workforce demand. They are even worse when it comes to responding to scheduling emergencies. Automated employee scheduling can work hand-in-hand with time and attendance tracking. If an employee is late for a shift or doesn’t show, an alert can be set for early warning. When you know an employee is late or missing within minutes, you’re much better prepared to respond. Customers may never know there was a problem. Automated alerts and employee reminders can be set to help ensure that employees are on time. And when they aren’t, you’ll know it almost before they do. In the event you do have a missing employee, self-service scheduling can help shorten response times even more. Employee Self-Service (ESS) empowers employees to volunteer swap shifts before trouble hits. Managers approve all actions and system settings automate job role gatekeeping and overtime predictions. ESS allows managers to ease back on their scheduling workload. Employees take up the slack in a proactive way and everybody wins. ESS and automated employee tracking are made possible with scheduling apps like TimeSimplicity. Spreadsheets have a hard time keeping up and place too much of the burden on your managers. Quick reaction to scheduling emergencies is a great reason to upgrade to an automated scheduling app. Employee Self-Service is a great way to fill the gaps before they become shift emergencies. Automated templates will help you create your schedules from week to week. There will always be scheduling gaps as employees take scheduled time off, or seasons change. You may even experience an emergency change before a shift begins. These kinds of emergencies create gaps that need to be filled on the fly. ESS and Automated employee scheduling can fill your schedule with minimal management effort. When a gap occurs, alerts and notifications go out to employees announcing an available shift. Employees can volunteer to fill extra shifts from their own mobile device. In most cases, gaps are filled by employees before managers notice a problem. Managers can approve volunteer requests from their own mobile device. Shift changes are automatically updated in the system. No more calling trees or late night fretting over missing coverage. Employee Scheduling Apps For The Win! Employee scheduling doesn’t have to be a burden on your managers. If you are still using the old trusty spreadsheet to manage your employee schedules, it’s time to move up to the convenience of automation. It will save you money, and costs less than you think it does.